Freehold Music Center is proud to serve our local musical community by offering a fleet of rental pianos available for special events. We are always happy to work with organizations, individuals, schools and churches to make their event or concert a success. Our rental fleet boasts professional upright pianos, digital pianos, 2 baby grand pianos and a 7’6 semi concert grand piano. We off Yamaha, Kawai and Roland pianos for short term piano rentals. Whether you need a piano for one night, a weekend or a longer period of time we have you covered. Do to the logistics of the instrument we can only deliver rental pianos to first floor destinations and cannot leave a piano in a tent or outside. If you could please advise us of any stairs, landings and stages that will be at your location it will help us facilitate a seem less delivery. For the beginner student or for some one who needs a piano for a couple of months. Freehold Music also offers long term piano rentals. If you or your child are beginning to learn piano and you want to try it out before purchasing a piano, we offer 3 month to one year rental terms. 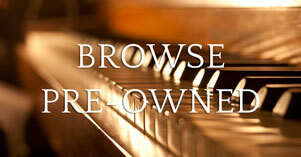 A significant portion of the rental proceeds goes toward the purchase of a new or pre owned piano. This is a great way to see if your child is into the piano before you purchase one. The physical address of the location the piano is going to. What kind of piano and bench do you need. When can we deliver and pick the piano up. Do you need a pre-concert tuning.